Oppo has added a new smartphone, boosting its smartphone list, the company has launched its Oppo A5 smartphone. Oppo has launched its smartphone lineup as a new smartphone Oppo A5. The company has launched this smartphone in the budget category. Let us tell you that this device has launched a dual rear camera setup and the launch of nine like the iPhone X, the company has already launched Oppo A5 in China last month. Oppo A5 smartphone is priced at Rs 14,990, which you can easily take from all offline stores across the country. The Oppo A5 smartphone is launched in colors like Blue, Rose Gold. 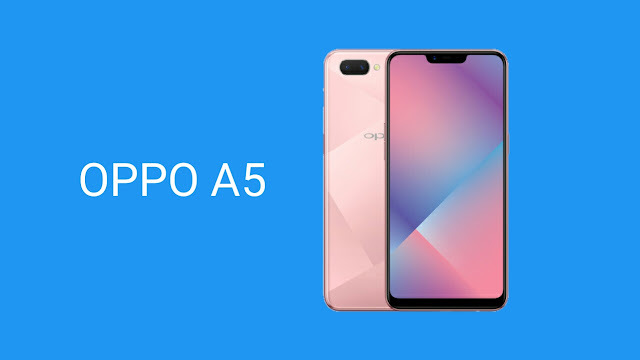 In Oppo A5 smartphone, you are getting a 4,320mAh capacity battery, according to the company, this device is capable of playing 14 hours of video playback and 11 hours of gaming. In Oppo A5 smartphone you get a 6.2-inch HD + display of a resolution of 9: 9 aspect ratio of 720x1520 pixel resolution. This display is also equipped with a 2.5D curved glass. Oppo A5 smartphone works on 8.0 Oreo inside. You also tell that the Oppo A5 smartphone has Qualcomm Snapdragon 450 processor and 4GB of RAM, apart from that it also has 64GB of internal storage. You can also extend this storage to 128GB with the help of MicroSD card. On the phone you are getting a dual camera, apart from it you also have a circular fingerprint sensor. If you talk about the camera, in the Oppo A5 smartphone, you are getting a 13-megapixel primary and 2-megapixel secondary camera, on the front of the phone, you are getting an 8-megapixel camera.